This next-generation wearable powered by Tizen OS and featuring a curved Super AMOLED display will hit the US on November 7. Samsung Gear S was officially unveiled back in September at the IFA 2014 in Berlin. 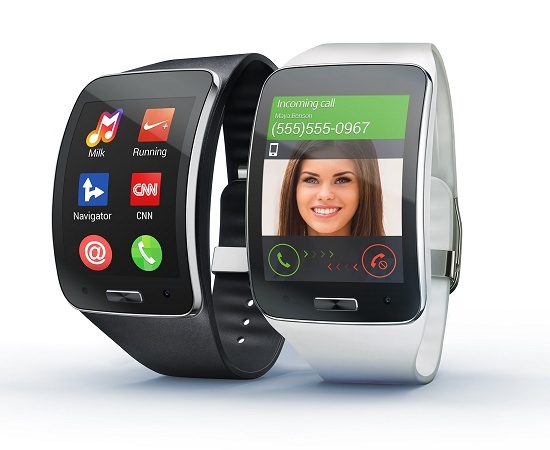 What makes this Tizen OS-powered wearable special is its SIM card slot that allows it to have its own data connection and not to be entirely reliant on a smartphone companion. Now Samsung has just announced that major mobile carriers in the US will introduce the Gear S starting next Friday. According to the official press release, "The Gear S will be available in both White and Black. AT&T, Sprint, T-Mobile, and Verizon Wireless will carry the Gear S." Those interested will also be able to purchase it at Samsung Experience Shops inside select Best Buy locations. Although each carrier and retailer has to confirm pricing and availability details, Samsung mentioned that Gear S "will be available in the U.S. beginning next Friday, November 7." The specs of the wearable remain unchanged. Its highlights include a 1 GHz dual-core processor, 512 MB RAM and 4 GB internal memory, curved 2-inch Super AMOLED display, WiFi, Bluetooth, GPS, as well as multiple sensors. We will get back to it as soon as major carrier announce their details. DALLAS- Samsung Telecommunications America, LLC (Samsung) announced today that the Samsung Gear S™ will be available in the U.S. beginning next Friday, November 7. 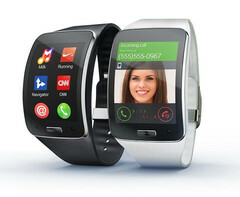 Samsung’s next-generation wearable extends the smartphone experience to users’ wrists through connectivity and convenience. Full details and product images are available at www.samsungmobileuspress.com. Samsung, Gear, Super AMOLED, S Voice and S Health are all trademarks of Samsung Electronics Co., Ltd. Other company names, product names and marks mentioned herein are the property of their respective owners and may be trademarks or registered trademarks. 1 Carrier Network Coverage not available everywhere and requires a qualifying wireless plan. Consult your carrier for details. 2 This device has been tested and received an IP (Ingress Protection) rating of IP67, which tests for dust intrusion and for water submersion up to 1 meter for up to 30 minutes. Not shockproof. 3This device, S Health, and related software is not intended for use in the diagnosis of disease or other conditions, or in the cure, mitigation, treatment, or prevention of disease.